Yesterday Palmer Report explained that Attorney General William Barr would appear before the House Appropriations Committee today, for reasons entirely unrelated to the Mueller report, but the Democrats on the committee would demand answers about the Mueller report anyway. Sure enough, that happened today – and Barr gave the wrong answer, because House Democrats on a different committee are coming out swinging as a result. During the hearings, William Barr stated that he’s planning to release a heavily redacted version of the Mueller report within a week. 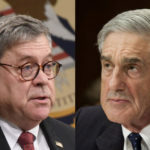 The trouble: based on Barr’s track record of having already released a four page “summary” of the report that even Mueller’s own team has since confirmed was grossly misleading, no one trusts Barr’s redactions to be honest or accurate either. For instance, he could simply redact everything that’s bad for Trump, thus creating the appearance that the report is entirely about people like Paul Manafort, who are already behind bars anyway. Sure enough, House Judiciary Committee Chairman Jerry Nadler is now telling CNN’s Manu Raju that this was the wrong answer. Nadler now has broad subpoena authorization in his back pocket, and he’s simply been waiting to see if William Barr wanted to do this the easy way or the hard way. Now that Barr is definitively stating that he’s planning to release a conveniently redacted version of the Mueller report instead of the entire thing, Nadler says he’s going to bust out the subpoenas and take Barr to court. What’s interesting here is that even William Barr’s “redacted” Mueller report will still end up being plenty bad for Donald Trump. The report is focused on exposing crimes and wrongdoing committed by Trump, his campaign, and his associates in relation to the 2016 election, and the Trump regime’s subsequent efforts to sabotage the investigation into that wrongdoing. Barr can’t black out the entire thing. So he’ll have to give up some of the Trump-related dirt next week just to buy himself a bit more time as this goes into court.